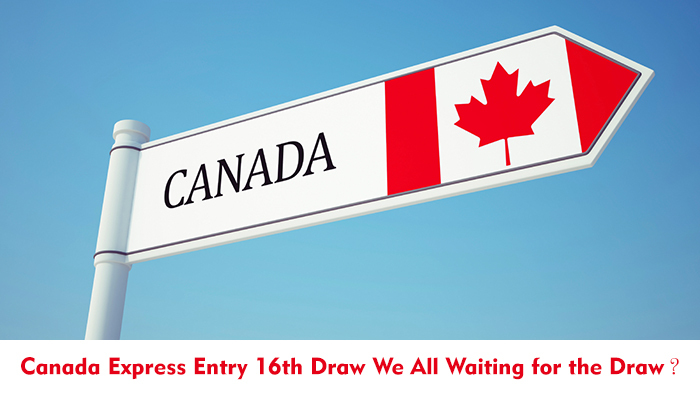 Canada Express Entry 16th Draw We All Waiting for the Draw? The Canadian government introduced a new immigration system to select the workers under Federal Economic programs known as the Express Entry system. Interested candidates submit their profile in the express entry pool and are the best profile is selected by the Canadian employers and government across Canada and the best candidates are invited to apply for Canadian permanent residence. As a part of this pool, the government issues invitations every year at regular intervals. Formerly, the Express Entry 15th draw was launched on August 21st which witnessed the lowest comprehensive Ranking System (CRS) with the cutoff score of 456 points. A total of 1523 invitations to Apply (ITA) were filed by the applicants under this pool. Till now the Citizenship and immigration Canada (CIC) had conducted 15 draws and received around 15,000 ITA’s so far. The cutoff score has been considerably dropping since the last two draws which became an interlude for the applicants. During the 15th draw, they distributed the ITA’s even to the applicants with no employment offer or local nomination. These invitations were beneficial to the overseas citizens for those who want to remain permanently in Canada and are allotted based on the information ministered by the applicants. And these applications are analyzed on the basis of diversified factors like education, language proficiency, work experience and others. Canada is offering a number of opportunities for the foreign individuals and thus it is becoming popular day by day. With the launch of this Express Entry system, the immigrants are showing interest to migrate to Canada. Another beneficial factor is that there are no deadlines or caps on the number of candidates any potential candidate can apply. Once they got through this process they can enjoy all the rights like the natives, they are also given the equal rights. The numbers of immigrants those are migrating to Canada are increasing every year. From the time of launching till now, a total of 15 draws were successfully conducted by the Citizenship and Immigration Canada. And now the aspirants are eagerly waiting for the Express entry 16th draw which is anticipated to take place soon. The Canada Express Entry is the outstanding likelihood for foreign aspirants those are willing to settle in Canada.